All the pieces are coming together for the next long mission by a European astronaut. Now it has a name and logo. 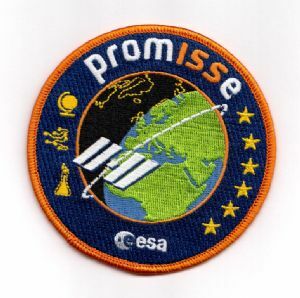 ESA today revealed the name of André Kuipers' mission: PromISSe. ESA called on citizens of its member states last June to propose a name for André’s mission and received more than 200 proposals in just a month. Surprisingly, they also came from Slovenia, Australia, India, Mexico and Argentina. The judges weighed the eligible entries from a wide range of people, from a 13-year-old Italian to an 82-year-old Dutchman. The vast majority came from the Netherlands – André’s home country – and the winner is one of those. 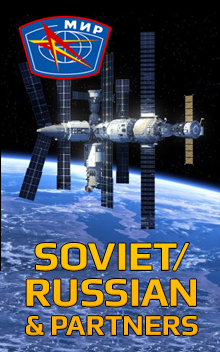 It was not a declared intent to embed the abbreviation of the International Space Station in the logo, but both the design and the chosen name have it. PromISSe represents ‘Programme for Research in Orbit Maximising the Inspiration from the Space Station for Europe’, explained the winner, Wim Holwerda, a 61-year-old Dutchman. Three powerful messages are integrated in PromISSe: the crucial role of scientific research, a greater use of the Space Station and the inspirational value of ESA space programmes. The logo for the mission features the Space Station orbiting Earth, accompanied by three icons and six stars. The PromISSe name crowns a circular design belted with orange cords, while the International Space Station acronym is highlighted in the same colour to bring out the Dutch participation in the mission. The core of the logo is a globe free of national borders. A silhouette of the ISS is shown circling Earth, about to fly over Europe. The icons on the left represent the mission’s three crucial elements: science, technology and education. The globe stands for a knowledge-based society focused on our planet. The electronic circuit denotes technology. The conical laboratory flask illustrates scientific research. 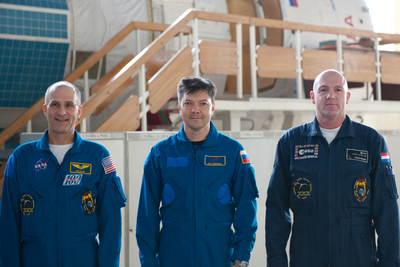 The six stars represent the six crewmembers, the six months that André will stay in space and, as the stars are similar to those on the EU flag, the European character. 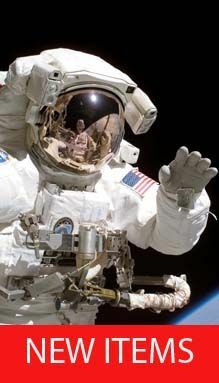 André will work on the Station as a member of Expedition 30. The mission was launched on 21 December 2011, at 13:16:15 GMT from Site №1 on Baikonur Cosmodrome. The rocket system used was Soyuz-FG. Docking of Soyuz ТМА-03М with the International Space Station was executed at 15:19 GMT on 23 December. Beware of ebay imitations look for officially licensed products.